Welcome to the website of Robert H. (Bob) Pemberton. Bob Pemberton served in Place 6 on Texas’s Third Court of Appeals from December 2003 until September 2018, when he retired from judicial service to pursue other professional opportunities. While serving on the Third Court, Justice Pemberton authored almost 2,500 appellate opinions, addressing broad-ranging and complex issues arising in civil litigation, criminal prosecutions, and disputes concerning the powers of Texas state and local governments. Pemberton ranked among the most hardworking and productive of Texas’s court of appeals judges, twice leading all such judges statewide in the number of majority opinions on the merits authored during a fiscal year. His efforts contributed to the Third Court having the lowest reversal rate of any Texas court of appeals during his final five years of service while also cutting backlog and disposition time dramatically. Pemberton’s work also earned him broad support in both the larger electorate and the legal community, winning election victories in 2004, 2006, and 2012 while being voted the best qualified candidate each time in the State Bar of Texas judicial preference poll. While serving on the Third Court of Appeals, Justice Pemberton also sat as a visiting justice of the Supreme Court of Texas by special commission. He continues to serve as a member of the Supreme Court of Texas Rules Advisory Committee and the American Law Institute, co-chairs the Appellate Rules Subcommittee of the State Bar of Texas Appellate Section, and speaks frequently at continuing legal education programs. Pemberton’s other leadership roles in the legal community include chairing the Supreme Court of Texas Task Force on Judicial Emergency Preparedness, participating in the Barbara Jordan Inn of the American Inns of Court, and supporting the Texas Bar Foundation as a Life Fellow. 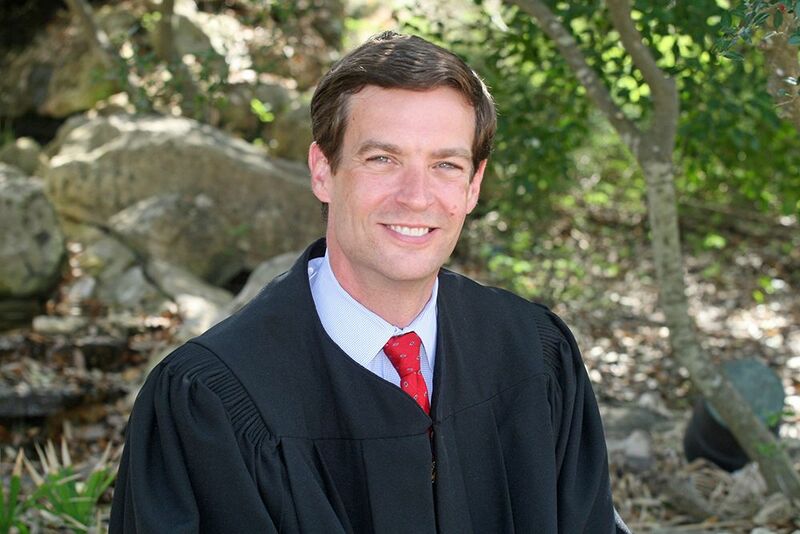 Prior to his judicial service, Pemberton grew up in the Central Texas city of Temple, part of a four-member family that would eventually produce three judges (the fourth member, his mom, is a now-retired teacher). After Temple High (where he earned All-District and All-Central Texas football honors), Pemberton graduated at the top of his class at Baylor University (B.B.A. Economics & Public Administration) and then with honors from the Harvard Law School, where he was an editor of the Law Review. Following a clerkship with then-Chief Justice Tom Phillips of the Texas Supreme Court, Pemberton practiced trial and appellate law for several years with Baker Botts and Akin Gump Strauss Hauer & Feld; served as Deputy General Counsel to then-Governor Rick Perry; served as Rules Attorney to the Texas Supreme Court, where he played a pivotal role in the 1999 civil discovery rules reforms; taught advanced civil trial and appellate law at the University of Texas School of Law; and published numerous legal articles.